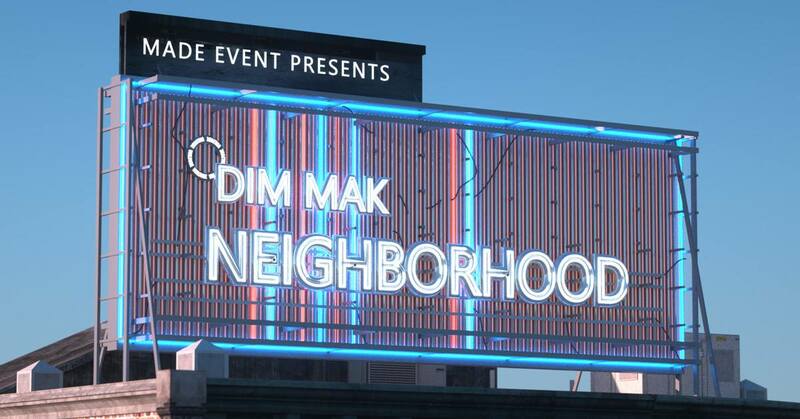 Dim Mak Neighborhood makes its way to The Brooklyn Mirage this weekend, so, New York, prepare for a day of sets from some of electronic music’s finest. On Sunday, June 10, Dim Mak brings an all-star lineup to New York City for a Brooklyn showcase at one of the city’s most talked about venues. Providing the soundtrack in the Dim Mak Neighborhood this weekend are Steve Aoki, Carnage, Dada Life, Carnage, Smokepurpp, QUIX, Ricky Remedy, Max Styler, R3LL, Bok Nero, and Noise Cans. Fresh off remixing duty, Aoki recently put his touch on the new Deadpool 2 soundtrack-featured “Ashes” by Celine Dion. Steve has also been collaborating with acts like AJR and Lil Yachty on “Pretender.” Last year, the Dim Mak label boss released his LP, Kolony, with a slew of EDM and hip-hop talent, including T-Pain, Lil Uzi Vert, Gucci Mane, Migos, DVBBS, Yellow Claw, Bad Royale, and many more. Carnage is making an appearance in the Dim Mak Neighborhood this weekend as the event’s special guest. The DJ/producer just released his sophomore album Battered Bruised & Bloody through BMG/Heavyweight Records. The album features the singles “Learn How to Watch” with Mac Miller and Madeintyo, “i Shyne” with Lil Pump, and “Plur Genocide” with Steve Aoki feat. Lockdown. Bloody also includes artists like Migos, Deko, Lil B, Takeoff, and more. Carnage recently hosted the “Renegade Series” which was a five-city, five secret location dates ahead of his new album. Dada Life returns with Our Nation, their first studio album in six years. Stefan and Olof last released The Rules of Dada in 2012, but the guys are back and better than ever before. Known for their champagne and bananas, Dada Life returns to the city that never sleeps to show off their revamped sound. Join in on the fun this weekend from 3-11PM in the Dim Mak Neighborhood, presented by Made Event, here.